Firstly, some words from our host: "By luck of having visited a brother in New Zealand in May and discovering the little gem of a town called Oamaru, halfway between Christchurch and Dunedin, I discovered what was once the world’s southernmost distillery. The New Zealand Whisky company bought the last 80,000 litres of whisky remaining from Dunedin Distillery (closed in 1997, originally known as Willowbank) and have matured the casks in Oamaru. 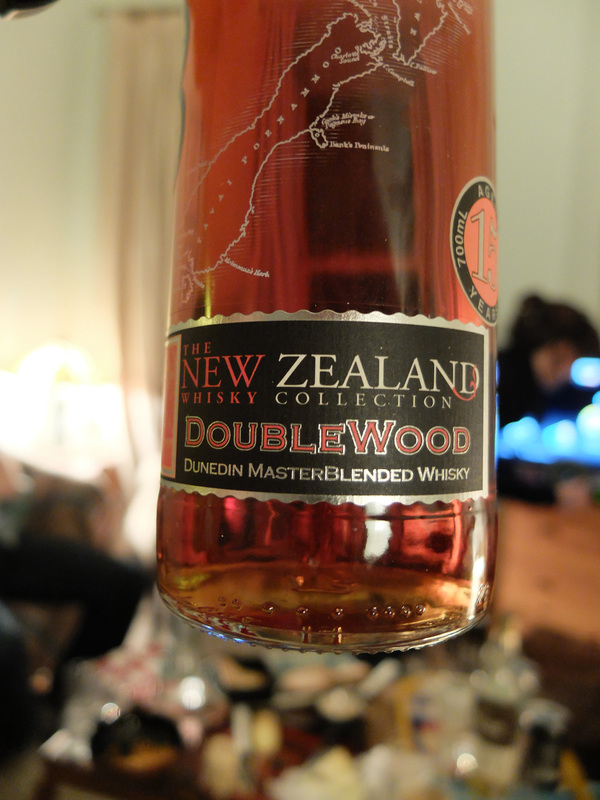 The New Zealand Whisky company have started distilling their own whisky but in the meantime their editions from Dunedin’s Willowbank distillery, such as this Dunedin Doublewood 15 have been winning awards, such as 'Best Blended Whisky' at the 2013 World Whisky Awards. This is 70% single malt; 30% grain whisky and has been in American oak, ex-bourbon for 6 years and finished in French oak, ex-New Zealand Pinot Noir casks for 9 years." Fruit and chemical smells seemed to be the theme. The fruity descriptions ranged from Ribena, gooseberry, fruit punch, plums, prunes, Christmas cake/dried fruits. Added to that we got maple-y-glue; PVA glue; tree sap. The nose was described by some as powerful and warm yet we had this contradiction - "Nah mate, nothing on the nose" which then got refined to "treacle toffee and nail polish". Again a lot of fruitiness, with a hint of spice and a lot of sweetness. Orange oil, cinnamon-soaked plums, pineapple, orange, honeyed prunes. Cloves, tarragon, vanilla, cinnamon-bark, dark Demerara sugar, tawny port. 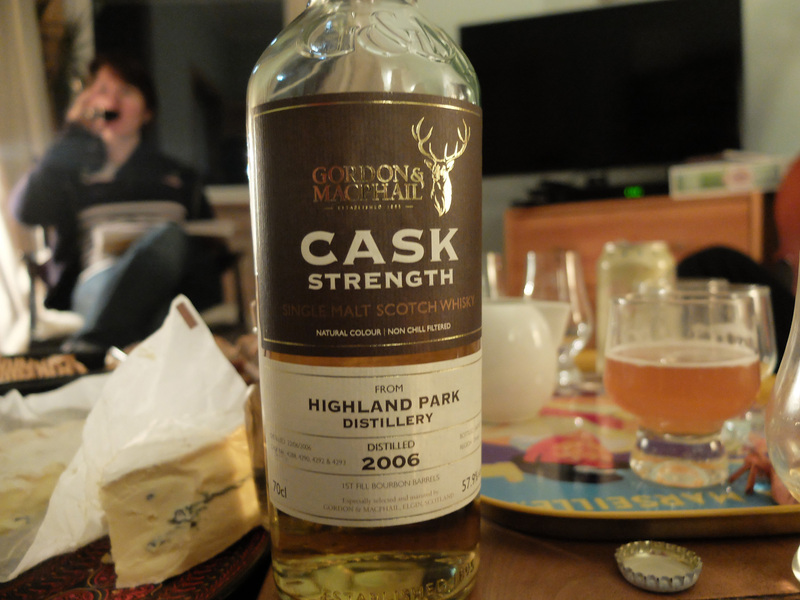 This was full of flavour for a 40% dram; it has the nicer elements of a red wine finished whisky - "I’m not a fan of red wine finished whiskies but I like this one". There was definitely something tropical and Southern hemisphere about it. "Very different". 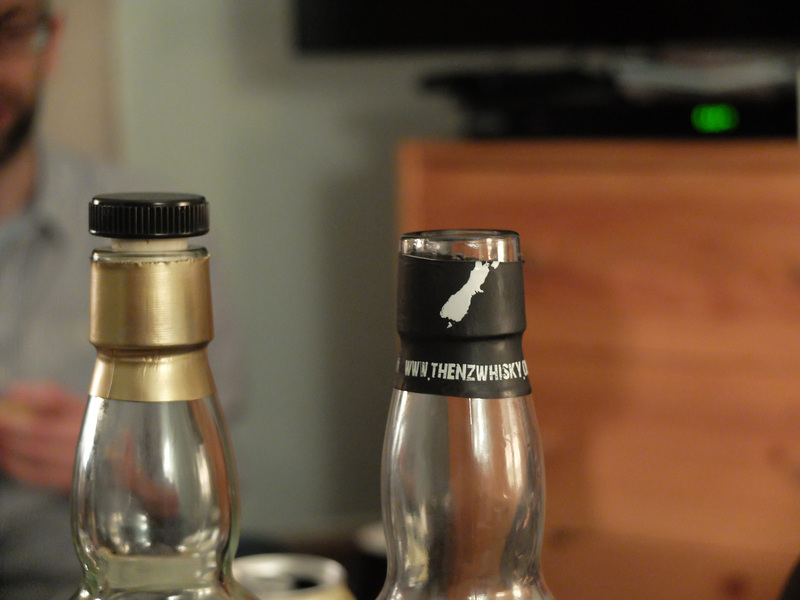 A short-to-medium finish, described by one as, "the length of time between New Zealand winning the 2011 Rugby World cup and their next World Cup win" - 4 years as it turned out. This was then qualified as "in the context of Rugby World Cups, as short as could possibly be" (probably). Finishy flavours were molasses, coffee, orange peel and dark chocolate. Satsuma in a wrapper, woody, mulled-wine.